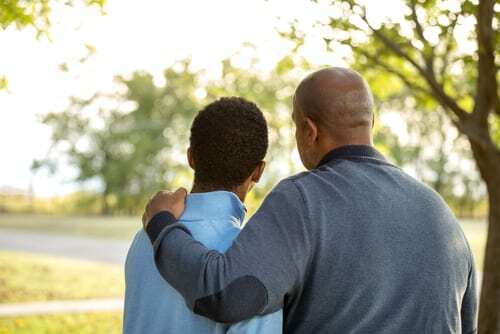 Children of parents who struggle with alcoholism are at risk of experiencing mental health issues such as depression, anxiety, behavioral problems, and drug or alcohol abuse. Children of parents with an addiction to alcohol can feel uncertain, unstable, neglected, disorganized, and lonely. The home environment influences these feelings and can be chaotic and stressful for a child. Children can feel guilty and think that their parents drink because of them. Alcohol changes a person’s mood and fuels aggressive, abusive, and violent behavior. Alcoholism affects the way a person’s brain functions and can lead to brain damage, stroke, overdose, and death. A parent suffering from alcoholism can instigate childhood trauma while affecting a child’s development and destroying family relationships. A child with a parent addicted to alcohol often does not get the attention they need. This affects a child’s stability and wreaks havoc on everyone in the family. If a child grows up in an unstable household, he or she can develop trust issues and behavioral problems. Children of parents with an addiction to alcohol are at high risk of developing an addiction to substances in adolescence or adulthood. Teens are influenced by peer pressure and often act on impulse. A teenager is likely to become addicted to drugs or alcohol when they have a parent with an addiction. A teen’s brain develops at a high rate but when addicted to drugs or alcohol, the brain’s development slows down or stops. When teens abuse drugs or alcohol, they put themselves and others at risk of accidents or death. A parent with an addiction to alcohol can get help in treatment and begin the recovery process. When a parent stops drinking, the family can heal and have healthy, sustainable relationships with each other. Children need professional help so they can understand and cope with their family’s addictive behavior. A child will need time to heal with intensive therapy. Emotional and mental health issues need to be addressed for healthy growth and development. Recovery is possible. If you or a loved one is struggling with addiction, get help now. Cypress Lakes Lodge is committed to their clients’ physical, mental, and physiological health, and offers treatment for addiction and addictive behaviors.